Escondido Chiropractor, Dr. Stephen Heilman specializes in back pain treatment caused by a bulging disc or disc herniations. If you are suffering with back pain with sciatica, Dr. Stephen Heilman of Heilman Chiropractic and Spinal Decompression has non surgical treatment options such as Non Surgical Spinal Decompression and HPLT (High Power Laser Therapy) that are very successful in not only reducing pain but also repairing the problem – even when Chiropractic Adjustments, Acupuncture, Physical Therapy, Medications, and epidural injections have not helped or provided only temporary relief. 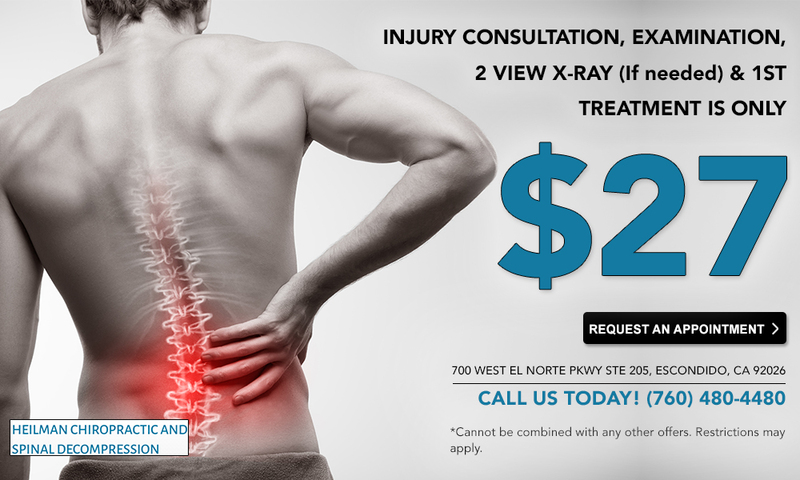 Call 760 480 4480 to schedule a FREE Consultation and Exam today.